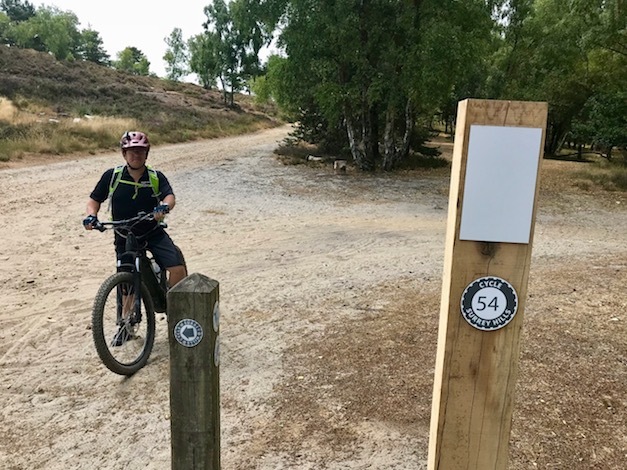 Cycle Surrey Hills - New Marked Routes | Electric mountain bikes, road bikes, hybrids and mountain bikes for hire. 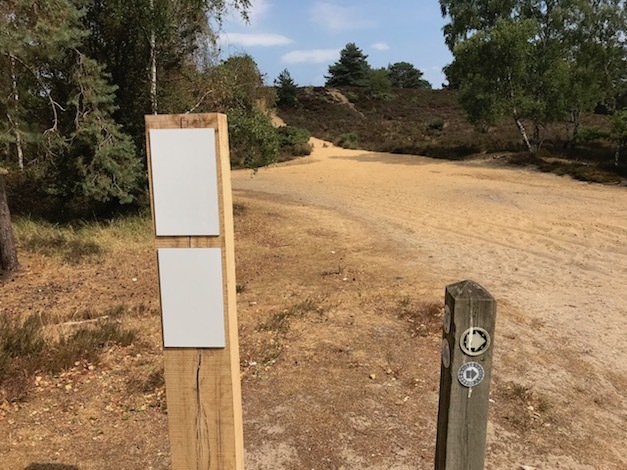 Cycling UK and the Surrey Hills Area of Outstanding Natural Beauty (AONB) have recently launched a 90km network of signposted off-road cycle trails. The network comprises five interconnected loops each around 20km in length. The trails use the bridleway and byway network with occasional use of quiet roads. The links below for each trail will take you to more detailed information and links to download GPX files for each route. 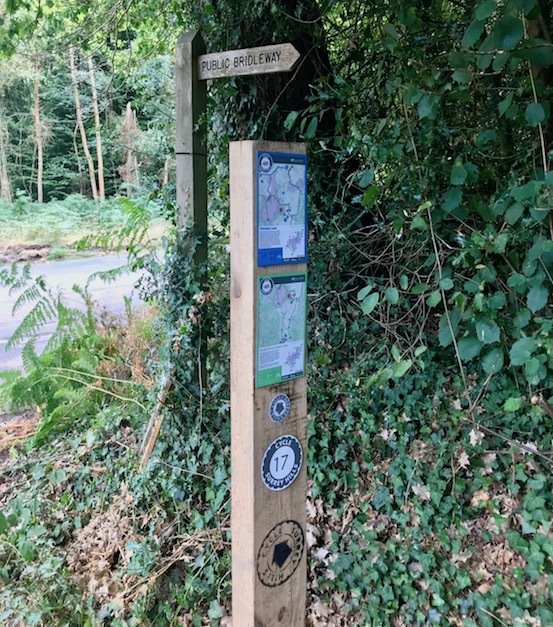 The routes are signposted and maps are displayed on some signposts. 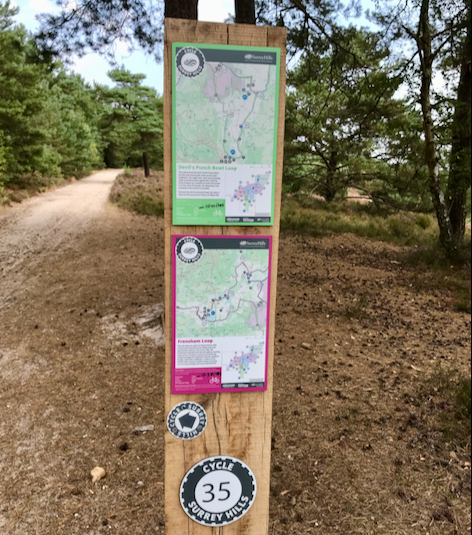 Leaflets are available with maps of all the routes at the National Trust information point next door to the cafe at The Devils’ Punchbowl. Or you can download one here. Unfortunately not all the signage is in place as of August 2018.